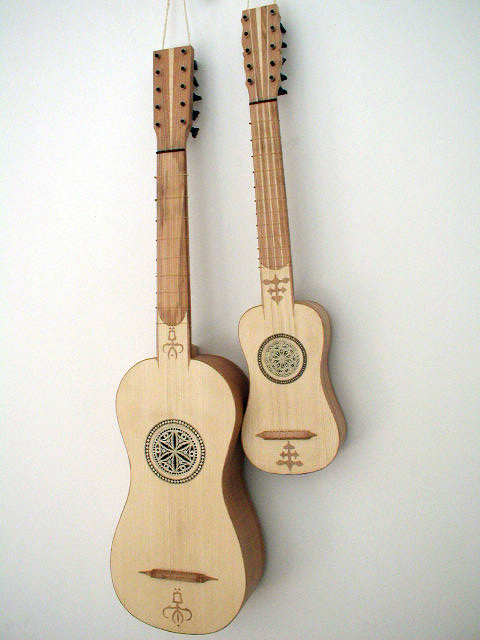 Small Catalan instrument in A, based on surviving one in the "Museu de la Musica" in Barcelona. 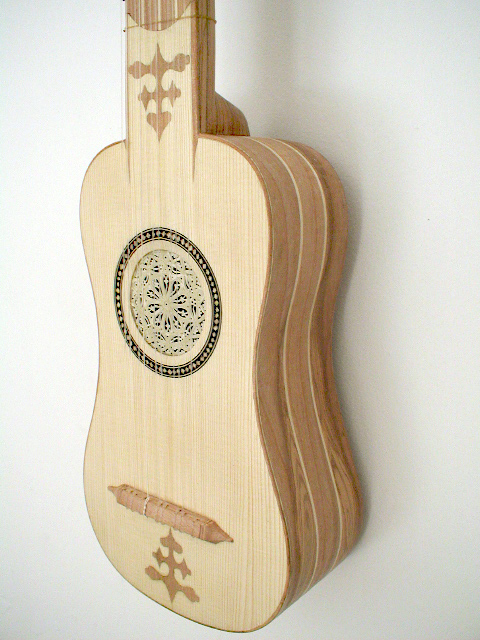 Made in walnut and cypress, like the original, spruce top. Made slightly larger than the original. Simple rose. String length 51 cm. 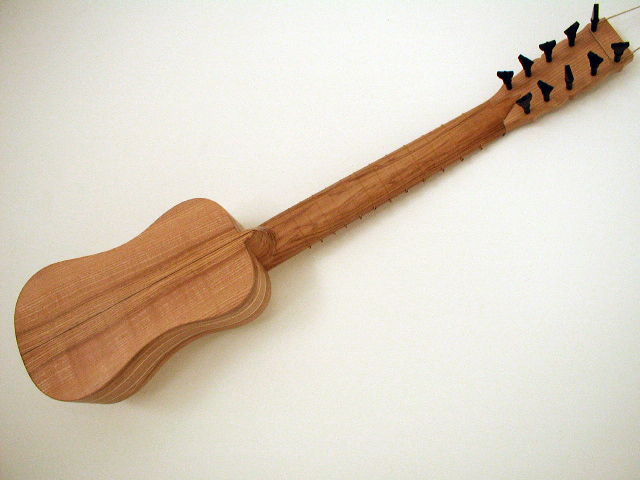 Very good for strumming and practical for traveling.